Get latest breaking news, current affairs, and latest news headlines updates with The Tutors Academy. 1. The Bureau of Indian Standards (BIS) has kicked off the process to set new standards to measure quality of services offered to consumers across different sectors, including telecom, aviation, e-commerce and healthcare. 2. Ahead of the upcoming 2+2 talks with the U.S., the Defence Acquisition Council (DAC), which met on Saturday, cleared the procurement of 24 multi role helicopters (MRH) for the Navy. Overall, the Council approved procurement deals worth approximately ₹46,000 crore. 3. The colonial-era Mullaperiyar dam has again become a source of friction between Tamil Nadu and Kerala. Though the original dispute was over the appropriateness of the dam’s water level, Kerala, already reeling under severe adverse impact of floods, sprang a surprise by accusing Tamil Nadu of having carried out “sudden releases” of water. 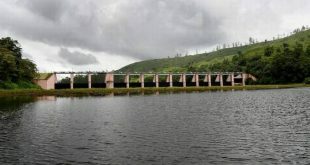 This, Kerala says, forced it to discharge more water from the downstream Idukki reservoir, about 40 km away from Mullaperiyar, which has been cited as one of the causes for the “deluge”. In Kerala’s assessment, Tamil Nadu should have heeded its request immediately and lowered the water level in Mullaperiyar to 139 ft to moderate the floods. 4. 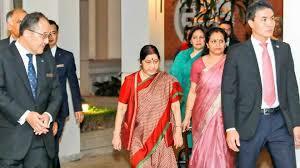 External Affairs Minister Sushma Swaraj will begin a four-day tour of Vietnam and Cambodia on Monday, with an aim to deepen India’s strategic cooperation with the two key nations in the ASEAN region. “The External Affairs Minister’s visit to Vietnam and Cambodia will provide an opportunity to hold in-depth discussions with the political leadership on a wide range of global, regional and bilateral issues, and advance our strategic engagement with these countries and the ASEAN region,” the Ministry said. In Vietnam, Ms. Swaraj will co-chair the 16th meeting of the Joint Commission, along with the country’s Deputy Prime Minister and Foreign Minister Pham Binh Minh. Get daily, Latest breaking news and current affairs updates with The Tutors Academy. 5. What is the Compensatory Afforestation Fund (CAF)? The CAF Bill was finally passed, in 2016, after the then Environment Minister, the late Anil Dave, assured the House that all objections raised, particularly by Mr. Ramesh — such as the provisions of the Bill vesting greater powers in the forest bureaucracy than on resident tribal people; the possible violation of tribal rights, and gram panchayats not having the final say in deciding what kind of forests could be grown — would be addressed within the Rules of the Bill. Several members had also raised doubts on whether it would lead to an ecologically sustainable replenishing of forests, and whether tribal people would be persecuted by officialdom under the garb of regenerating forests. Once the Rules became public, Mr. Ramesh said they were a “breach” of promises made. In a letter to Union Environment Minister this month, he pointed out several concerns. 6. The Defence Acquisition Council (DAC), which met on Saturday gave formal approval for procurement of 111 Naval Utility Helicopters worth over ₹21,000 crore. The Navy had issued the Request for Information (RFI) last year but clarity was awaited on the implementation guidelines under the Strategic Partnership (SP) model. The guidelines were approved recently and are expected to be issued shortly. SP model envisages indigenous manufacturing of major defence platforms by an Indian Strategic Partner under technology transfer from a foreign Original Equipment Manufacturer (OEM). The DAC decision will be valid for 18 months within which the Navy has to process the deal. The selected manufacturer will then tie up with a suitable Indian partner to manufacture the helicopters in India. In another deal for the Army, the DAC granted approval for procurement of 150 indigenously developed 155 mm Advanced Towed Artillery Gun Systems (ATAGS), at an approximate cost of ₹3,364.78 crore. These guns have been indigenously designed and developed by the Defence Research and Development Organisation (DRDO) in partnership with the private sector. They will be manufactured by production agencies as nominated by the DRDO, the statement said. The Centre on Saturday appointed eminent scientist Dr. G. Satheesh Reddy as the Chairman of the Defence Research and Development Organisation (DRDO). The post had been lying vacant since May, after former chief Dr. S. Christopher stepped down. A missile scientist, Dr. Reddy is the Director General of the strategic missiles division. His tenure as the Scientific Advisor to the Defence Minister ended two months ago. 8. Kaptan Singh Solanki on Saturday took oath as the Governor of Tripura. He replaced Tathagata Roy, who had been shifted to Meghalaya. 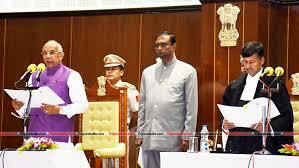 Chief Justice of High Court of Tripura Ajay Rastogi administered the oath of office and secrecy to Mr. Solanki. He became the 17th Governor of Tripura. 9. For the first time in 25 years, a Hollywood studio released a film with an all-Asian cast last week, a welcome dose of diversity. Warner Bros. Studio’s Crazy Rich Asians, based on Kevin Kwan’s 2013 eponymous bestseller about a Chinese-American’s journey back to her roots — and great wealth — topped the box-office in North America at the opening weekend, and will be released in India next month. In Hollywood, the last film to have an all-Asian cast was the Joy Luck Club, based on Amy Tan’s book, in 1993. 10. A completely green method developed by researchers from the University of Calicut, Kerala, can potentially do away with using water for sizing and desizing cotton and polyster yarn. Textile industry is highly water-intensive and also one of the biggest water polluters. By using liquid and supercritical carbon dioxide instead of water, and sucrose octaacetate in place of starch, team of researchers led by Dr. Poovathinthodiyil Raveendran from the University’s Department of Chemistry has made the sizing and desizing process eco-friendly. The results of the study were published in the journal ACS Sustainable Chemistry & Engineering. 12. Just like on Earth, there are aurorae on Jupiter. Recent study shows that some of the charged particles generating these come from its moons Io and Ganymede. Using infrared observation from Juno spacecraft, observers found alternating spots and arc-like patterns in these aurorae. 13. For the first time in India, universal mental health care is now a justiciable right following the enforcement of the Mental Healthcare Act (MHCA), 2017. As a watershed moment for the right to health movement in India, it is also for the first time that the law has recognised the right to access health care for citizens — and specifically for mental health. According to the National Mental Health Survey (NHMS) of India, 2016, India spends less than 1% of its entire health budget on mental health. In a country where an estimated 150 million people need mental health care and treatment, up to 92% of them (no less than 105 million persons) do not have access to any form of mental health care. Further, stigmatisation and discrimination are serious causes of concern. 14. What is Feynman’s kitchen experiment? This far-reaching field study evaluates one of India’s most substantial policy commitments, the National Rural Health Mission (NRHM), to arrive at telling and cautionary conclusions. The NRHM identifies 18 States as having weak public health indicators and health infrastructure; the major determinants here are nutrition, water, and sanitation. The mission, furthermore, requires State-level departments dealing with water and sanitation to promote local community involvement. Friends, contemporaries and colleagues wrote regularly to Natwar Singh from the days of his foreign service to ambassadorship, and to more recent times as minister of external affairs. The letters collected in this volume includes among others those written by Mrs. Indira Gandhi, E.M. Forster, C. Rajagopalachari, Lord Mountbatten, Jawaharlal Nehru’s sisters, R.K. Narayan and Han Suyin. This is the story of the transformation of Coal India (CIL), the world’s largest coal-mining company. It contributes to about 82% of India’s coal production. Former CIL chairman and managing director writes how he handled the Dhanbad coal mafia, changed the way the industry was perceived, and dealt with trade unions and the government. Meaning 2 – a sudden flood in a river. Prepare for NDA, CDS, Navy, and AirForce with us, and for latest breaking news & current affairs updates. Definitely check out our more blog posts.